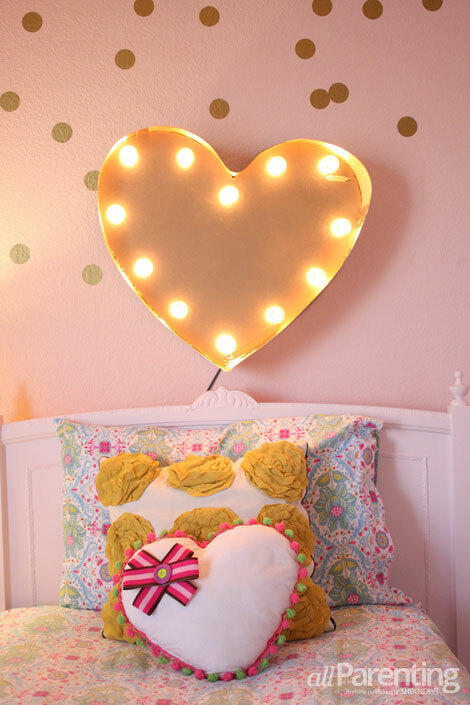 With a few simple items including foam board, globe lights and tape, this DIY heart marquee sign couldn't be a sweeter way to say Happy Valentine's Day. 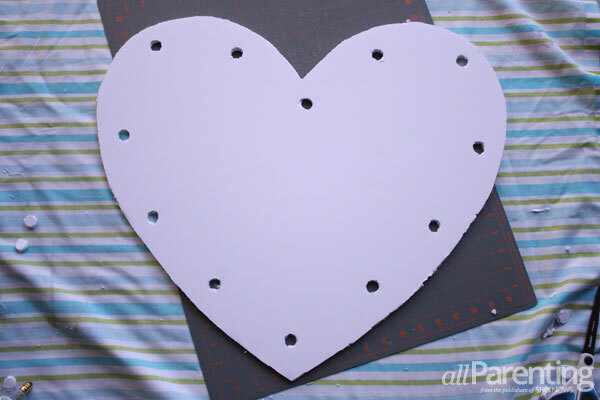 Start by tracing and cutting out your heart from the foam board using your box cutter. 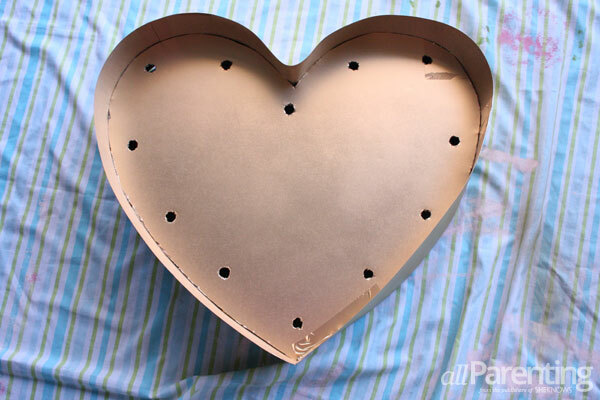 Then cut out a series of small holes the width of the receiving end of one of the light bulbs, evenly spacing them along the edge of the heart about 1-inch from the edge with a hole approximately 1 every 2-1/2-inches. 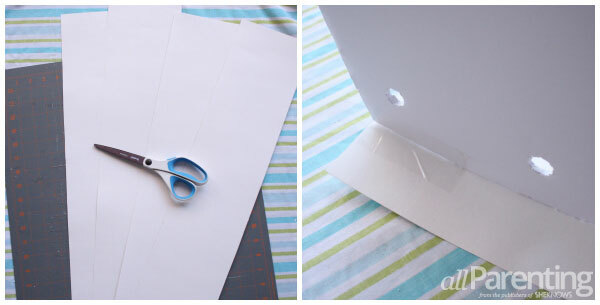 Next, cut out strips of poster board 5 inches wide. Tape the strips around the outside of the heart with the heart placed in the middle of the strip. You will tape it to the back of the heart. 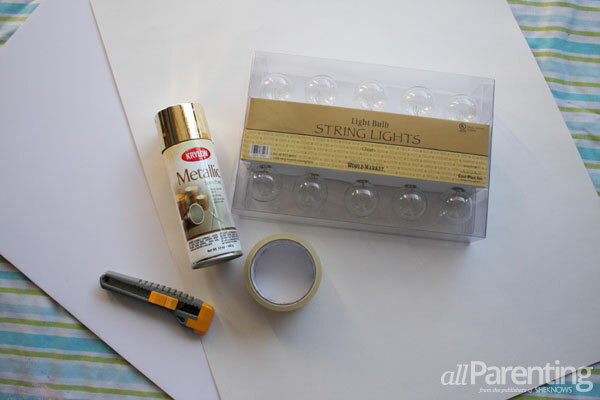 Apply a few lines of tape until it feels secure. Spray your heart in the color of your choice. Now push the bulbs through the front of the heart and attach the connectors from the back, making sure they are firmly screwed together.